THE Reserve Bank has kept the official cash rate on hold at 1.5 per cent for its 10th meeting in a row, but the relief may be short-lived as experts warn rate hikes are not far off. 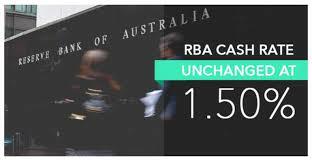 The RBA last cut the cash rate to 1.5 per cent, following an earlier cut to 1.75 per cent in May. The last time the official cash rate increased was November 2010. Predictions are there could be as many as eight interest rate rises in the next two years as the economic growth picks up. While the prediction was met with scepticism by many, a survey of economists and experts found 88% believe the next rate move will be a rise. It comes as new data suggests Australia’s property market is slowing.